BCAS Recruitment Notification 2017: A career recruitment notification has been released by the officials of the Bureau of Civil Aviation Security (BCAS) on its official web page @ www.bcasindia.gov.in. Offline Applications are invited from all the eligible aspirants to fill up total 121 Deputy Aviation Security Officer, Senior Aviation Security Assistant, Driver (Grade I and II) vacant positions. So applicants those who are willing to apply they must submit their prescribed application form through offline mode before the closing date of the application form. Therefore as per officials BCAS Recruitment Notification 2017, the closing date for filing application is 07-10-2017. Candidates can refer the below provided steps to submit the application form for Bureau of Civil Aviation Security (BCAS) Recruitment 2017 Notification. We insist the aspirants check the eligibility before going to apply for BCAS Positions so that you can know about the educational qualification, age limit, pay band, how to apply and other. Read this page to know detailed info regarding this BCAS Recruitment Notification 2017. Applicants who are willing to apply for these positions they must obey the educational qualification if they want their application to be considered. Aspirants who have done their 12th Class and should also contain the driving license for heavy and light motor vehicle for at least 10 years experience and should be able to identify the English alphabet and numerical / Graduation Degree from any recognized university or the institution are the desired educational qualifications. As per officials of the Bureau of Civil Aviation Security, applicants age limit is should not exceed 65 Years. And also other details about the upper age relaxation read the official BCAS Recruitment Notification 2017. Applicants who are applying for these jobs they must pay the application fee as per category. As per the official notice, they did not mention any specific Examination/ Application fee. Kindly, refer the Official BCAS Recruitment Notification 2017 by visiting the official web page of the Bureau of Civil Aviation Security, New Delhi (BCAS) @ www.bcasindia.gov.in. From this page, the aspirant can get the direct links to download the official BCAS Recruitment Notification 2017. On this page, our team members have updated this page with the employment notification as well as Application form. You need not go anywhere to collect. As this good chance for the aspirant, apply for these position before the closing date of the application form according to the BCAS Recruitment Notification. The Recruitment board of the Bureau of Civil Aviation Security, New Delhi (BCAS) has declared that they are going to conduct the recruitment process to recruit the aspirants into the organization based on their merit performance in the recruitment rounds. As per the notification released by the Bureau of Civil Aviation Security, applicants are going to face the Written Test and a Personal Interview/ Document Verification which they need to clear in order to get placed in the BCAS India. 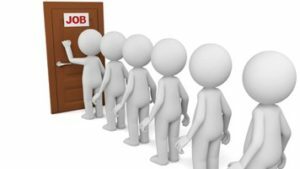 Aspirants those who got placed in the organization by clearing all the recruitment rounds they will get the salary as per rules of the Bureau of Civil Aviation Security, New Delhi. So refer the official BCAS Recruitment Notification 2017 to get more details about the monthly Pay Band. Willing job hunters can also check the Syllabus and Previous Year Sample Papers for BCAS Recruitment Notification2017. Applicants who are willing to apply for these positions they must obey the educational qualification if they want their application to be considered. Aspirants who have done their 12th Class and should also contain the driving license for heavy and light motor vehicle for at least 10 years experience and should be able to identify the English alphabet and numerical / Graduation Degree from any recognized university or the institution are the desired educational qualifications. As per officials of the Bureau of Civil Aviation Security, applicants age limit is should not exceed 65 Years. And also other details about the upper age relaxation read the official BCAS Recruitment Notification 2017 by clicking on the below provided links. Applicants who are applying for these jobs they must pay the application fee as per category. As per the official notice, they did not mention any specific Examination/ Application fee. Kindly, refer the Official BCAS Recruitment Notification 2017 by visiting the official web page of the Bureau of Civil Aviation Security, New Delhi (BCAS) @ www.bcasindia.gov.in. Recruitment board of the Bureau of Civil Aviation Security, New Delhi (BCAS) has declared that they are going to conduct the recruitment process to recruit the aspirants into the organization based on their merit performance in the recruitment rounds. As per the notification released by the Bureau of Civil Aviation Security, applicants are going to face the Written Test and a Personal Interview/ Document Verification which they need to clear in order to get placed in the BCAS India. Aspirants those who got placed in the organization by clearing all the recruitment rounds they will get the salary as per rules of the Bureau of Civil Aviation Security, New Delhi. So refer the official BCAS Recruitment Notification 2017 to get more details about the monthly Pay Band. Applicants who are willing to apply they must long on to the official web page of the Bureau of Civil Aviation Security i.e., www.bcasindia.gov.in. Applicants who fulfill all the requirements can apply through Offline. Fill the application form and submit the application form before the last date. Upload all required documents as per rules. Post that filled the application form to the below provided postal address. Official Website of the Bureau of Civil Aviation Security, New Delhi (BCAS): www.bcasindia.gov.in. BCAS Recruitment Notification 2017: Candidates who are looking for the latest Central Govt jobs they can apply for these posts. The officials of the Bureau of Civil Aviation Security is inviting offline applications to fill the candidates for 79 Aviation Security Officer (ASO) Vacant positions. The authority of this Bureau of Civil Aviation Security has thoughtfully decided that very soon they will conduct the examination to select the best in the applied aspirants. So thoroughly go through this page to get updated information regarding the BCAS Recruitment Notification 2017. All eligible and willing aspirants can fill the application form on or before the last date which is 24-09-2017 and send the filled application form to the below given postal address. Candidates must complete their Degree of Bachelor from a recognized University along experience of two years in police or security or Intelligence department of India’s Government / State Government/Union Territories/Autonomous Organization/Public Sector Undertakings as the minimum educational qualifications are eligible to apply for the BCAS Recruitment 2017. As per official requirement candidates, the aspirant’s maximum age limit is should not exceed 65 years. As this huge number of vacancies, you have to utilize this wonderful chance. For more Central and State Govt Jobs candidates can visit our web portal www.sarkarirecruitment.com and for instant updates about the Rajya Sabha Secretariat Recruitment for 122 Posts Jobs book mark our site by pressing Ctrl+D. For more details like age limit, educational qualifications, application fee, salary, age relaxation, steps to apply and more read the official recruitment notification which is given below of this page. Just click on the given links to download the official employment notification. Organization Name Bureau of Civil Aviation Security. Applying contenders should possess a Degree of Bachelor from a recognized University along experience of two years in police or security or Intelligence department of India’s Government / State Government/Union Territories/Autonomous Organization/Public Sector Undertakings as the minimum educational qualifications are eligible to apply for the BCAS Recruitment 2017. Applicants age limit should not exceed 65 years. For post, wise details about the age limit and other details visit the official web page of the BCAS. Candidates who got selected for these posts they will get the monthly pay band between Rs. 9300/- to Rs. 34800/-. Along with Grade Pay of Rs.4200/-. For application/examination fee visit the official web portal of the BCAS Recruitment Notification 2017. Applicants those who are applied for these positions must attend the personal interview. Check official notification to get details about the interview. First of all willing candidates visit official website i.e., www.bcasindia.gov.in. On home page check for the BCAS Recruitment Notification 2017. BCAS Recruitment Notification 2017: Bureau of Civil Aviation Security offering new employment for the post of the Senior Aviation Security Officer posts. Willing candidates in order to fulfill their dreams first you must apply for this job. The notification is released to fill the fresh and talented candidates. This is only the contract basis recruitments. BCAS is hiring to fill in the 43 vacant positions. candidates will have to work in the BCAS Recruitment 2017. So this is the temporary job. The interested candidates Can Find the recruitment details on this current page. The officials decided that they will accept only offline Applications forms. So all the candidates can apply through offline mode only. otherwise, they will reject the offline forms. BCAS Notification 2017: The ministry of civil aviation reveals the official notification on the given dates. So candidates download the prescribed application form through online mode only. And fill the required details and posted it in the Venue address. The venue address is available on this given page. To get the postal address Scroll down to this page with out skip any thing. The important details are mentioned on this page. The applying candidates follow the instructions at the below page. By following the points you will apply the form perfectly. So we suggest to follow this. Attach all the required documents to it and posted it. Only self-assisted copies of each are attached to it. Interested candidates get to know the BCAS job openings 2017. Organisation Name Bureau of Civil Aviation Security. Post Name(s) Senior Aviation Security Officer. Number of Vacancies 43 posts. Last Date 24 September 2017. Interested candidates apply for the Senior Aviation Security officer posts at below. 24 September 2017 is the last date to send the application form. applicants should complete their bachelor degree in any of the recognized university or institute with an aggregate of the 60% is the eligibility. Rs. 34800/. is the given pay scale for the Candidates who are finalized in the interview. By Conducting the Interview only they will select the candidates. Who have clear this will get an appointment. Refer to the official notification for fee details. Also get the Syllabus along with the materials. So book marks our site for the daily updates. Education Qualification: The applicants should complete their bachelor degree in any of the recognized university. Age Limit: Maximum of 65 years. Application Fee: Refer to the official notification for fee details. Open the Official website, www.bcasindia.nic.in.